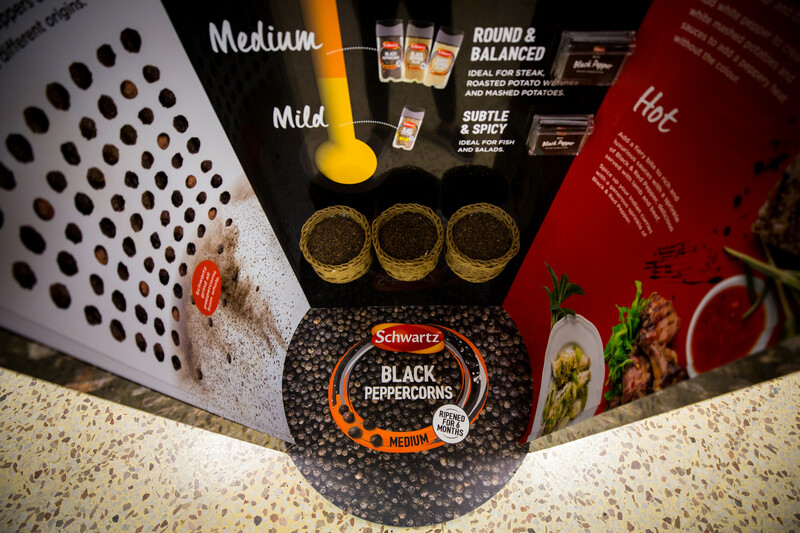 Schwartz spices pack a huge flavour, but spice jars are pretty small in size, typically occupying a quiet shelf in the supermarket. 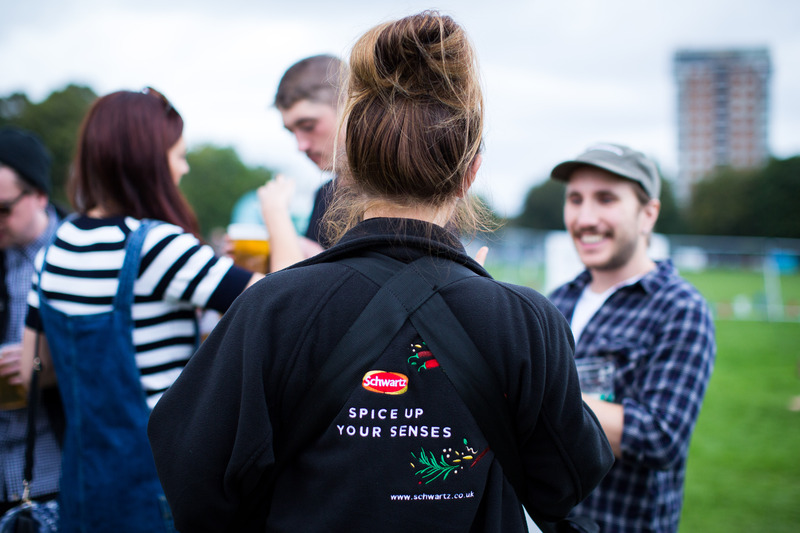 To celebrate their new jar and packaging design, we wanted to cook up an idea that made Schwartz’s spices loom a little larger in the imagination. 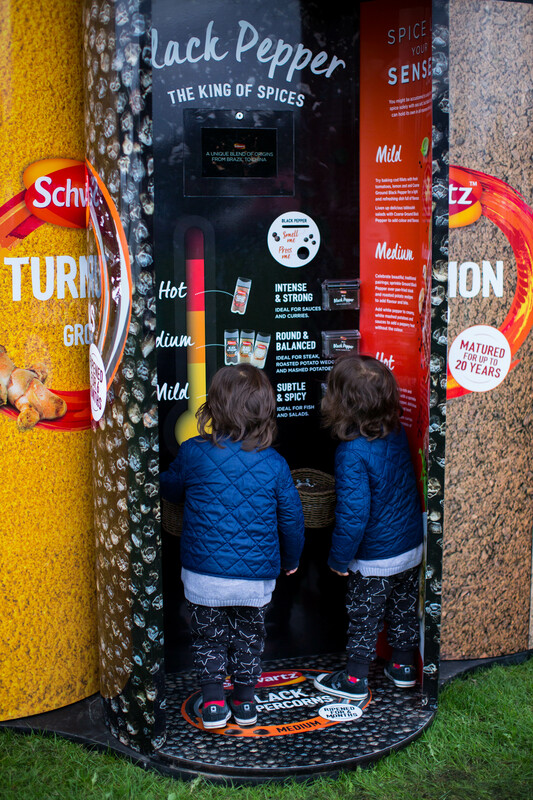 The life-size Schwartz Sensorium. 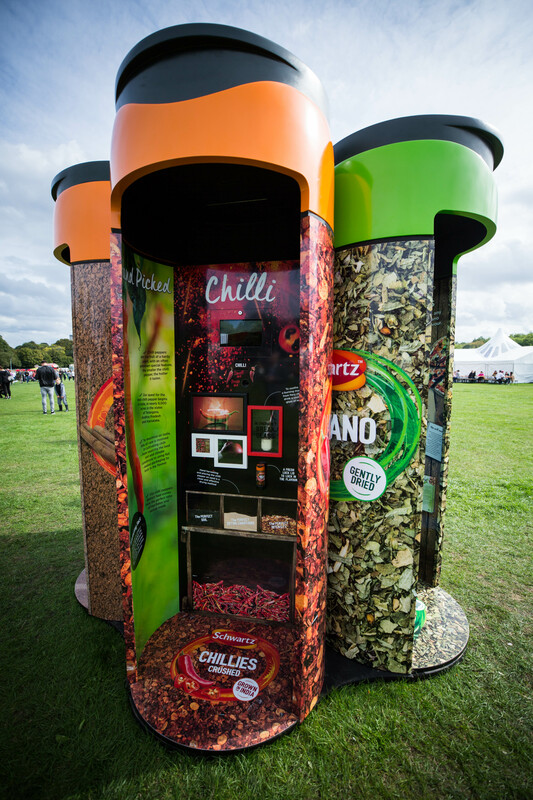 A multisensory experience you can’t ignore, transporting consumers to the origins of their favourite herbs and spices. 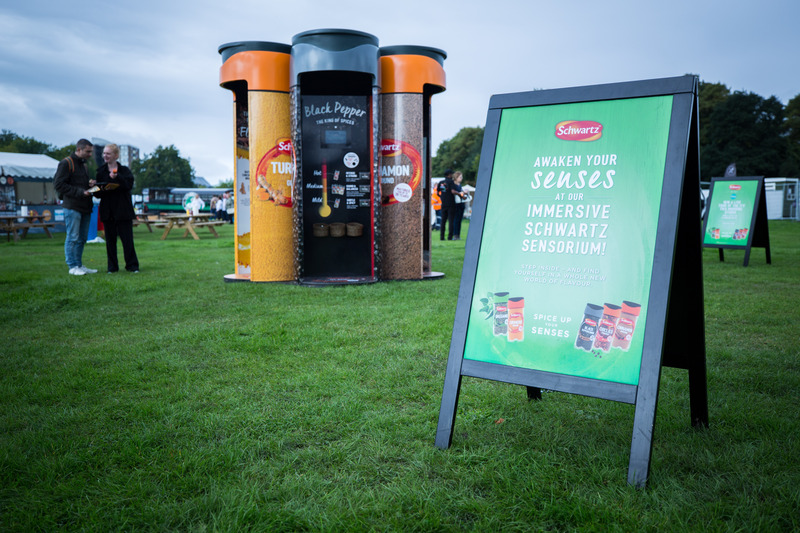 Over 50 days the Sensorium toured the UK’s top supermarkets and food festivals. 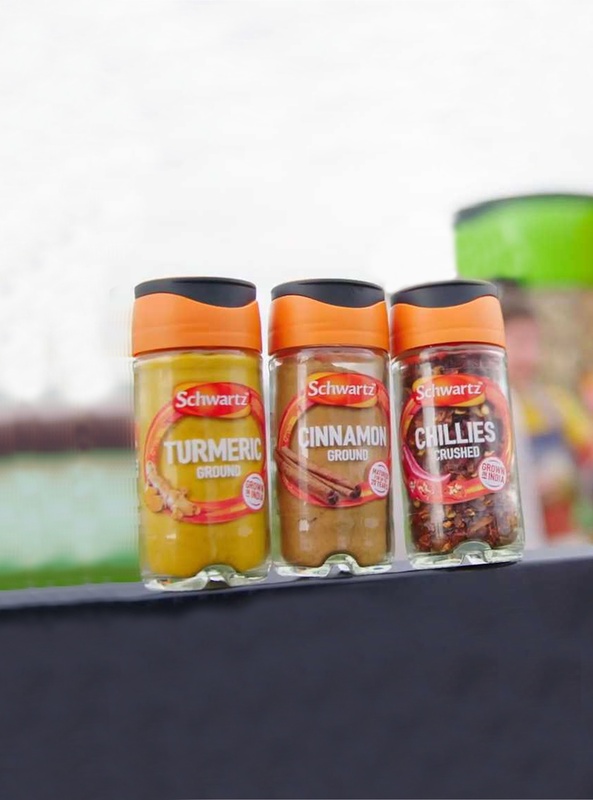 Five giant replica jars educated spice lovers about the scents, textures and flavour notes of Schwartz products. 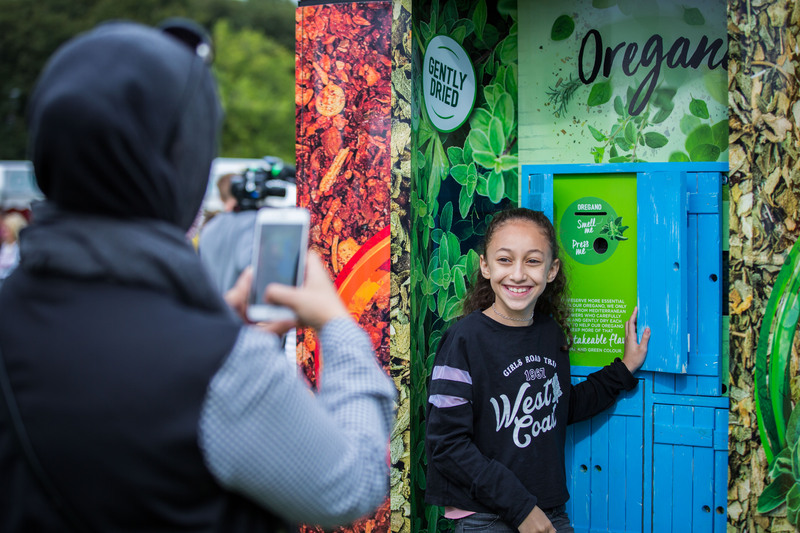 Each giant jar was fitted with multisensory technology – featuring scent dispensers, 3D touch, video and surround sound – as well as offering takeaway recipes to try out at home.